A ‘flat-pack’ truck has been developed to provide low-cost all-terrain mobility for remote parts of Africa and the developing world. The OX, powered by a 2.2-litre four-cylinder diesel engine and five-speed gearbox, has been designed to undertake crucial daily tasks, such as collect drinking water and transporting grain or fertilizer. Its creator claims is has no direct competitor – whether from a concept, performance or pricing. 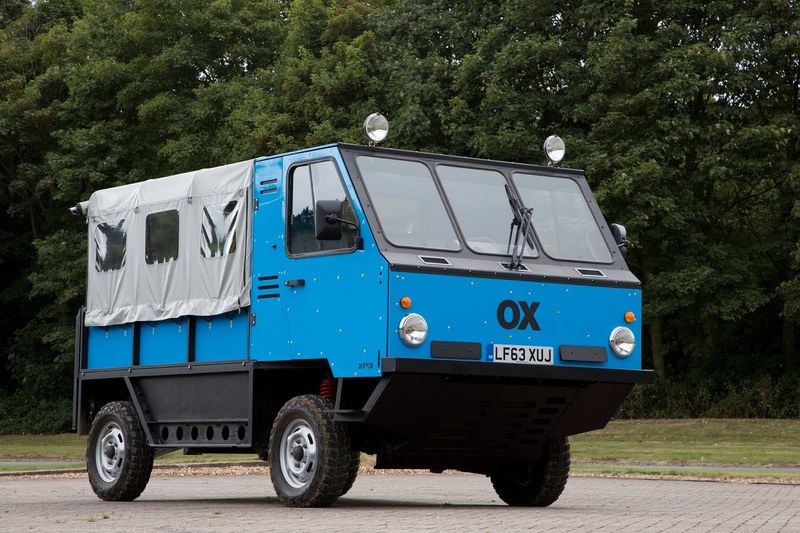 The OX originated from the vision of Sir Torquil Norman who, five years ago, founded Global Vehicle Trust (GVT), to pursue his ambition to help people in the developing world by providing cost-effective mobility. It is also not unlike the Mini Moke devised by Sir Alec Issigonis of British Leyland fame. 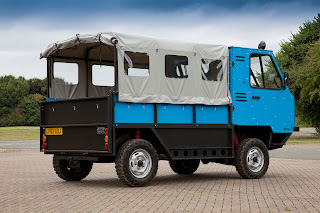 GVT subsequently briefed automotive designer Professor Gordon Murray on a unique humanitarian programme to create a revolutionary lightweight truck. The brief called for high ground clearance, excellent approach and departure angles, large wheel movement, a multi-purpose layout and a three-person cab. Murray’s design for the OX uses a flat-pack format to change the way a vehicle can be bought and transported, providing specific advantages to lead times and overall unit cost. Packaging is crucial: overall vehicle length is shorter than a large SUV yet it can carry a payload of 1900kg (approximately twice the capacity of most current pick-ups) with a load volume of 7 cubic metres. Based on EU size guidelines, it can seat up to 13 or carry eight 44-gallon drums or three Euro-pallets. The originator claims it takes three people less than six hours to create the flat pack in the UK prior to shipping. Six flat packs can be shipped within a 40ft high-cube container. Assembly labour is transferred to the importing country, where local professional companies will be employed to assemble and maintain the finished vehicles. Three skilled people can put an OX together in 12 hours. Sir Torquil Norman points to the inspiration for the OX going back to seeing the ‘Africar’ project of the 1980s. Murray added: “The challenge of a flat-packed vehicle design over the already tough targets for cost, durability and weight saving made for a fascinating and stimulating journey from concept to prototype. The XP3 prototype has an overall length 4.229m; overall width of 2.070m and overall height of 2.302m. The wheelbase is 2.560m and the track 1.795m. The 2.2-litre diesel develops 100 PS at 3,500 rev/min and a torque of 310 Nm at 2,100 rev/min.